Strategies Towards Energy Performance and Urban Planning (STEP UP) aims to bring together excellence on energy planning from four ambitious, European cities together with their industrial and research partners, running from Autumn 2012 to Summer 2015. The consortium combines expertise in energy planning, economics, finance, technology, project management and delivery and has representatives from each city council, ensuring the active participation and political commitment of the cities themselves. In each city, linking with local partnerships and stakeholder groups, STEP UP is facilitating the delivery of real projects in participating cities by using a multi-disciplinary and integrated approach. The focus is on holistic solutions that deliver real economic, environmental and technological advances in each city with regards to smart city planning. What’s next for STEP UP cities? 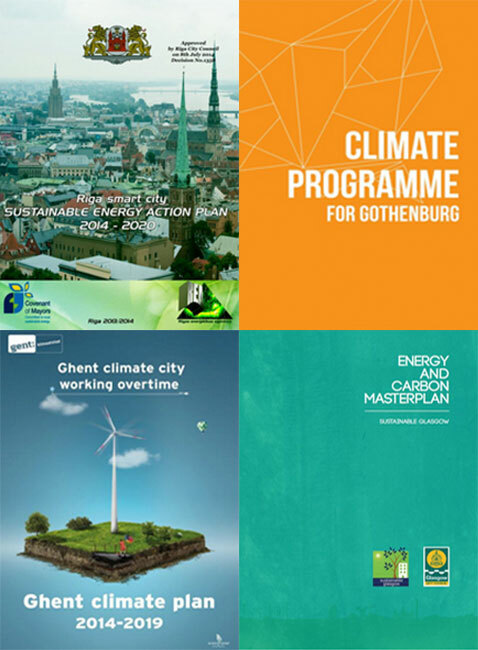 Ghent, Glasgow, Gothenburg and Riga have produced enhanced Sustainable Energy Action Plans (SEAPs) for their cities. The project has also produced two guides for cities, sharing practical advice and recommendations on developing enhanced SEAPs and sustainable energy projects. Find out more here! We need the participation of all citizens to achieve climate neutrality in our cities through drastic decrease of energy consumption and the generation of renewable sustainable energy. Energy audits, coaching, cheap loans, smart technology and subsidies for energy efficiency measures can help make clean energy accessible for everyone, especially those who are poorly off. Cities like Glasgow and its partners bring together education, innovation, communities and investment in ways which would otherwise be impossible. They are the crucibles in which new ideas and progress are forged. Step Up gives us possibilities to develop our sustainability work in the River city, to enhance the energy and climate efforts and at the same time highlight the commercial perspectives. By our financial opportunities, we will promote smart environmental and climate investments and avoid social gaps. Riga was one of the first cities that signed The Covenant of Mayors in 2008. Collaboration in implementing various projects on energy efficiency using new technologies has enabled Riga to make citizens lives more comfortable and eco-friendly. With our partners we are now striving to become a Smart City.